Holly Amos came to Nova Scotia to complete her Honours Bachelor of Science in Human Nutrition at St Francis Xavier University. While studying nutrition, she became passionate about food security and food sovereignty. Holly spent the following few years practicing as a Dietitian, furthering her education on local, sustainable food systems and exploring how food systems contribute to food security and food sovereignty. This peaked her interest in addressing sustainable food system development through a lens of aligning human health and environmental health. 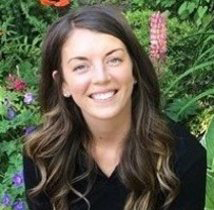 At Dalhousie, Holly plans to explore the connections between human health and environmental health and how we can support food systems that benefit both. Breanna Bishop grew up on a small island off the coast of British Columbia, instilling in her a strong passion for the marine environment. She graduated from the University of British Columbia (UBC), with a bachelors in Geography – Environment and Sustainability. While at UBC, Breanna participated in a service-learning placement at a sea turtle conservation project in Costa Rica, developing an environmental education program used for community outreach. After completing her degree, Breanna returned to Costa Rica for two additional seasons of conservation work. This experience was foundational in her decision to pursue a career in marine management, as it introduced Breanna to the complexities of marine problems, and the impacts of community participation. 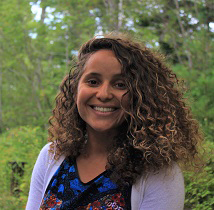 Breanna is looking forward to the MMM as an opportunity to explore place-based knowledge of coastal communities, specifically the role that first nations traditional knowledge can play in managing marine protected areas. Gillian grew up in Calgary, but spent many summers on the east and west coasts of Canada where she developed a passion for marine life and the ocean. She recently completed her BSc with a major in Marine Biology and a minor in Environmental Studies with a certificate in Environmental Impact Assessment at Dalhousie University. During the summer of 2018, Gillian gained valuable experience in environmental education as a volunteer with the Canadian Sea Turtle Network where she educated visitors about leatherback sea turtles and efforts to conserve them. She recently obtained her PADI Open Water Diver certification furthering her relationship with the ocean. During her undergraduate degree, Gillian took a coastal ecology field course, sparking her interest in coastal zone issues, with a particular interest in coastal development. She is excited about the interdisciplinary nature of the MMM program and plans to pursue studies in integrated coastal management. Nadia is from Montreal where she completed her Honours BSc in Environment with a concentration in Biodiversity and Conservation at McGill University in 2015. During her studies, she undertook an exchange semester in Australia at the University of Queensland. Her time there along with field courses in Barbados and New Brunswick sparked her interest in marine biology and conservation. In the summer of 2017, Nadia volunteered for the North Coast Cetacean Society in British Colombia where problems were highlighted in marine protected areas, marine pollution and industry development. After working as an environmental educator for the past 6 years, she is interested in the importance of community outreach and engagement in environmental issues. Nadia is looking forward to tackling marine management problems through an interdisciplinary approach in the MMM program. She is currently interested in marine pollution and how to confront the issue through community-based co-management. Elissama is an Oceanographer, interested in navigating the social dimension of climate change. While working on a Greenpeace vessel along the Latin America, Elissama became aware of the environmental and social issues related to the oceans. Back in Brazil, she started her academic career in Oceanography and received a scholarship to study Marine Environmental Science in New York City for a year. Her most remarkable work experience was in Hawaii, conducting a biomonitoring study. She was also an ambassador in science for the American Chemical Society (ACS) to boost scientific communication and career planning. She is an alumni member of the International Ocean Institute (IOI) and the São Paulo School of Advanced Science on Ocean Interdisciplinary Research and Governance (SPSAS-Ocean). Elissama chose the MMM program as a way to develop the interdisciplinary aspects of her field of interest and further understand the relationship among science, policy, gender and education. Reanne graduated from the University of Exeter in the UK with a BSc in Physical Geography. 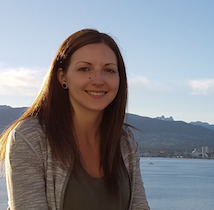 She has spent the last two years living in British Columbia and is looking forward to exploring the East Coast and broadening her knowledge of marine conservation and management. During her degree she undertook a research project on the projected impacts of ocean acidification on cold water coral reefs, the results of this project and other scientific research papers highlighted to her the importance of immediate action to mitigate the impacts of climate change. Reanne believes that the international nature of the issues that our oceans face demands international communication and cooperation in marine management strategies. 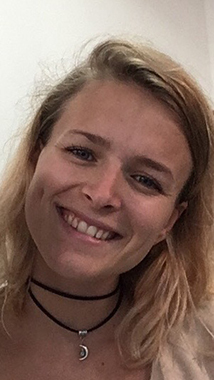 Through this programme she hopes to use her geography background to help with communicating scientific evidence to the public, and to assist the translation of these findings into environmental policies with greater priorities on marine management and protection. Before joining the MMM program, Sarah worked as the managing editor at Concrete Garden Magazine in Victoria, BC. Sustainable seafood, aquaculture innovations, and traditional First Nations practices were among the topics that Sarah researched and wrote about for the publication. With a BA in Environmental Studies and Creative Writing at the University of Victoria, Sarah melded her two passions and strove to bring awareness about marine issues and solutions through the magazine. Growing up on the Pacific coast, from Costa Rica to Vancouver Island, Sarah spent most of her time diving, surfing, and fishing while fostering a deep reverence for the marine environment. Sarah is hopeful that the MMM program will help her develop management skills and a depth of knowledge in coastal barrier innovations and restoration. Specifically, she is interested in kelp bed and reef restoration and how that can provide a solution to rising oceans, acidification, and loss of coastal biodiversity. 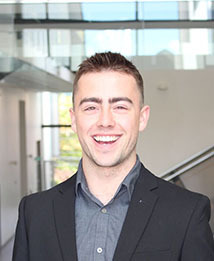 Paul Kraly graduated Queen’s University in 2016 with a Bachelor of Science in Biology. During this time, he had the opportunity to do an exchange in Lund, Sweden, which provided him first hand experience working as a marine biologist. He continued to develop a passion for the marine environment and recently graduated with a Masters of Marine Science from the University of Gothenburg, Sweden. His Masters work focused on sustainable alternatives to pesticide use to help rid farmed salmon of the sea lice Lepeophtheirus salmonis. 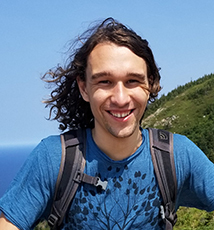 Paul is eager to develop a better understanding of marine policies and management tools to protect the ecological and cultural importance of the marine environment. During his time in the MMM program, Paul intends to research ways of raising community awareness of the issues at hand and having a more intensive community involvement in marine management. Hali completed her Honours Bachelor of Science in Marine Biology from Memorial University in her adopted hometown of St. John’s, Newfoundland. Growing up in northern Saskatchewan didn’t offer the marine education that she was hoping for, so she took to the east coast and hasn’t looked back. Her honours work focused on the behaviour and prey consumption of the common sea star; the final thesis was recently accepted by the Journal of Experimental Marine Biology and Ecology for publication. 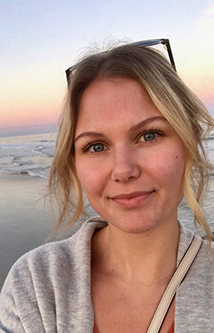 During her undergraduate degree, Hali was able to explore many marine ecosystems, including the Great Barrier Reef in Australia, and tropical environments of Southeast Asia. An avid SCUBA diver, she is passionate about aquatic conservation. Hali is thrilled to join the MMM program at Dalhousie and plans to focus on weaving First Nations knowledge with western science. She hopes to learn about which management techniques are best suited to promote robust marine ecosystems while allowing traditional ways of life to continue in coastal communities. 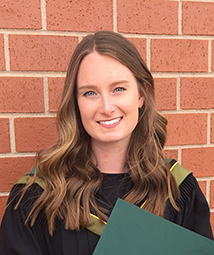 Sam recently completed her BSc (Honours) in Marine & Freshwater Biology at the University of Guelph with a Certificate in Environmental Conservation. During her studies, Sam played four years on the Varsity Women’s Basketball team. Growing up and attending school in Ontario, Sam was always looking for ways to be near the ocean. During her undergrad, she volunteered with the South African Shark Conservancy and undertook an internship at the Bimini Biological Field Station. During her experiences, Sam helped study and tag sharks whilst learning about their ecology and behaviour from some of the world’s best shark biologists. Sam is eager to use the interdisciplinary approach of the MMM program, her passion for marine conservation, and experience with shark research to help make Canada a leader in shark management. She hopes to achieve this by focusing on improving public education and industry communication, while enriching species-specific profiles throughout her studies. Lindsay graduated from the University of British Columbia with a combined major in Biology and Oceanography. Even though Lindsay is originally from Calgary, she always had an attraction to the ocean. When she moved to Vancouver in 2005 she quickly discovered that the ocean and the marine life was truly her passion, and this was only strengthened when she discovered SCUBA diving. Since graduating, Lindsay has worked in Fort Chipewyan working with representatives from oil and gas companies and indigenous members of the community to create a frame work for wildlife monitoring and mitigation plans within proposed drill sites. 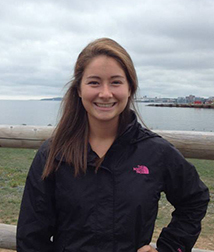 The interdisciplinary approach of the MMM program is what attracted Lindsay to this program. She hopes to gain a better understanding of integrated coastal zone management and community based involvement to achieve a more sustainable marine environment. Bronwen holds an Honours Bachelor of Science in Ocean Science from Dalhousie University. Her thesis project examined organic carbon deposition on the Labrador Shelf in the common era. In her final year, she travelled to Eilat, Israel to study the coral reef and subtropical sea ecosystem. During her studies, Bronwen has also been a boatswain in the Canadian Navy Reserves. She has had the opportunity to train across Canada from Newfoundland to British Columbia. Bronwen was introduced to the MMM program while working as an FSWEP student in PEI with Fisheries and Oceans Canada. She is excited to build on her science background with an understanding of policy and management. Bronwen’s interests lie mainly in climate change and she hopes to focus her research on military activity in the arctic. Though born and raised in Hamilton, ON, Justin has always been drawn to the sea. This led him to complete a Bachelor’s Degree in Biology with a Concentration in Marine Biology at the University of Victoria. Inspired by Marine Biologist Ed Ricketts, Justin’s goal is to follow in his footsteps and head into the unknown with eyes wide open, an endless supply of curiosity and a passion for sharing knowledge. Currently, Justin is fascinated by the abundant, but often overlooked, group of small, benthic, invertebrate animals classified as meiofauna. He aims to examine the relationship between the biodiversity of these ubiquitous animals and the health of an ecosystem as a whole. Such relationships will hopefully lead to improved ocean health monitoring techniques, as well as serving as baselines for current meiobenthic diversity. Everything in nature is connected, inspiring Justin to search for answers in the most unexpected of places. 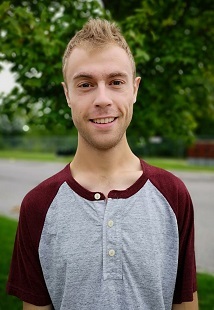 Justin graduated from Mount Allison University in 2018, with an honours degree in Biology. His research focused on the behaviour and physiology of fish for his honours thesis, when he discovered his passion for aquatic life. Being given the opportunity to develop skills including quantitative data analysis and research communication through the scientific perspective, he needed to fulfil an entrepreneurial fascination. He became the first CEO of Enviroot Inc. during his undergraduate degree. Through this endeavor, he applied the skills that he was already developing to an enterprise. The company works to repurpose food waste into viable products, and incorporates a wide range of perspectives. Because of the diverse experiences that he is bringing to Dalhousie, he looks forward to the interdisciplinary nature of Marine Management. By participating in this program, he is able to merge his experiences into a career that protects marine life. 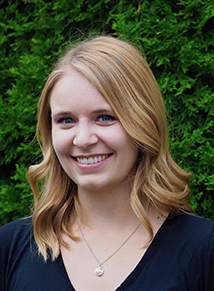 Sara graduated from the University of Guelph with an Honours Bachelor of Science, majoring in Marine and Freshwater Biology and minoring in International Development. 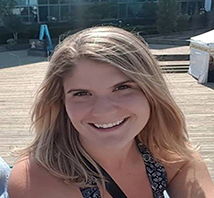 During her degree, Sara was awarded the NSERC Undergraduate Student Research Award, where she worked as a research assistant, and later undertook an Undergraduate Research Project, studying reproductive fitness in zebrafish. Additionally, Sara participated in a Marine Biology and Oceanography field course in Saint Andrews, NB, where she examined a nutrient-induced gradient along a wastewater discharge pipe and its effects on the local snail population. 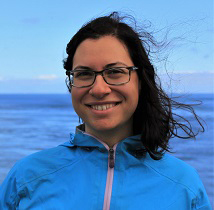 Sara’s research experience combined with her interest in development studies helped her realize the overarching connections between her fields of study and ignited her passion in interdisciplinary approaches to marine conservation. In the MMM program, Sara hopes to integrate development studies into marine conservation by studying the socioeconomic causes and effects of resource exploitation and develop tools to mitigate these threats using a community based co-management approach. Emily VanIderstine grew up in PEI where she developed a passion for the environment through years of sailing and time outdoors. This led her to the University of Prince Edward Island where she graduated with a Bachelor of Environmental Studies and a specialization in Innovation and Change Management. After an internship with Prince Edward Island National Park’s Outreach Education Program Emily gained employment in the Resource Conservation Field Unit. In this unit she worked on various conservation efforts such as the endangered piping plover monitoring program, forest restoration projects, and freshwater pond community surveys. Working for the National Park has given Emily a great opportunity to not only learn about the environmental issues her community faces but to also help communicate those issues to the public and raise awareness. 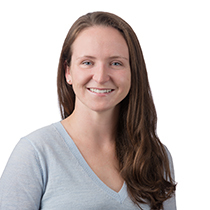 In the MMM program Emily hopes to gain an interdisciplinary perspective on integrating coastal zone management and conservation of marine wetlands and the development of Marine Protected Areas. Priyanka graduated from Dalhousie University in 2013 with a Bachelor of Science (Honours) in Marine Biology. Being an ocean and animal lover, Marine Biology was her obvious field of choice. 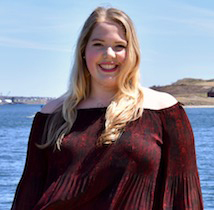 During her time as a student, she had the opportunity to spend two weeks working with the DFO and their Grey Seal program on Sable Island which was the highlight of her undergraduate experience. Her Honours thesis was on the Movement Patterns of Atlantic Cod. Since then she has been working at Dalhousie in different advisory roles but is now ready to dive back into the marine world. She is keen to combine her life sciences knowledge with the management skills she hopes to develop through the MMM program. 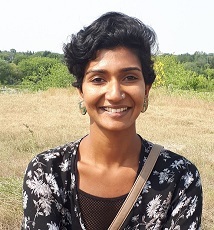 Priyanka looks forward to learning how to mitigate different marine related issues and is most interested in ocean conservation and marine protected areas. 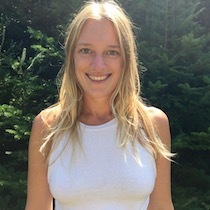 Cassidy recently graduated from University of Waterloo, where she completed her Bachelor’s of Environmental Studies in Environment, Resources, and Sustainability and a Diploma in Environmental Assessment. Cassidy’s passion for marine conservation and scuba diving has attracted her to the ocean and the MMM program. Through field courses in Waterloo and Huntsville, Ontario, Cassidy became very interested in aquatic species and their uses as ecosystem indicators, particularly benthic invertebrates. Growing up in Ontario, Cassidy has always been drawn to the coast and is excited to continue her education at Dalhousie. 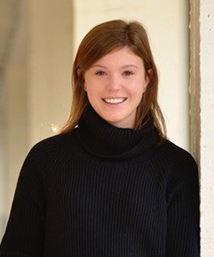 Cassidy spent much of her undergraduate degree researching the ecological importance of sharks and the consequences of climate change and human impacts on global shark populations. Cassidy is very interested in the management and conservation of sharks and other migratory species and is hoping to study these topics further during her MMM. Magena grew up on Vancouver Island where she developed a passion for the marine environment. After travelling around Australia and visiting the Great Barrier Reef she began to have a further interest in marine protected area networks. This interest led to the University of British Columbia where she obtained a BSc in Global Resource Systems with a focus in environmental management. While there she completed directed studies assessing the efficacy of butterfly, parrot and rabbit fish as potential bio-indicators for Nosy Be, Madagascar. Following graduation she continued to be engaged in marine conservation initiatives through public outreach, oceanography cruises and working with the Noise Exposure to the Marine Environment from Ships (NEMES) at UVIC to increase her knowledge within marine conservation. Magena is interested in the process of marine protected area development particularly, in the biological and social aspects of, the decision-making process regarding selection and design of MPAs and the monitoring approaches needed to support effective and adaptive management plans. She hopes to focus on Marine Protected Area establishment and effectiveness in Canada during her time at Dalhousie.